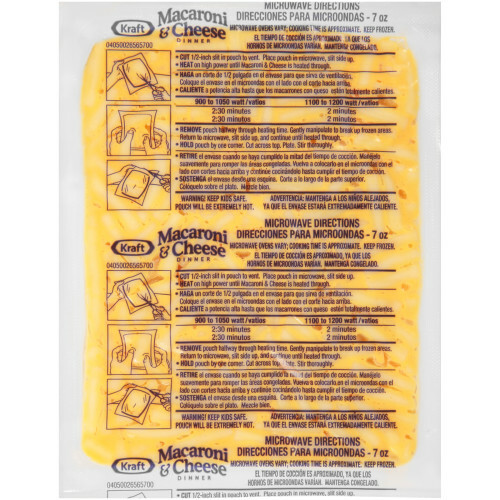 Kraft Triple Cheese Easy Mac Cups, 4.1 oz. 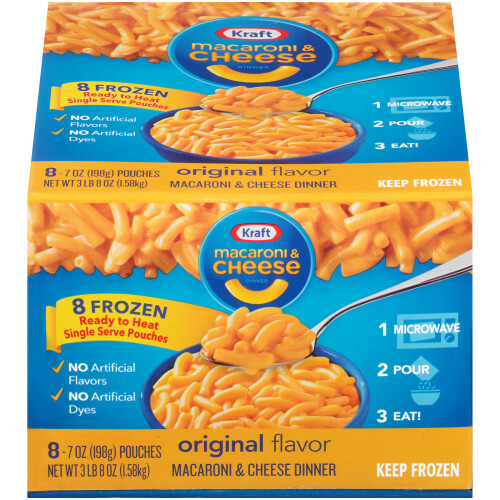 KRAFT Easy Mac Cups provide a convenient hot-meal option for children and adults with a delicious cheesy flavor. 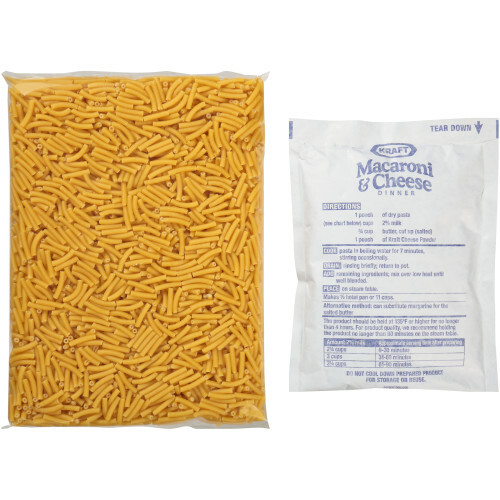 The shelf-stable meal option works in practically any vending machine or convenience store. Prep: Remove lid and sauce mix. Add water to fill-line in cup and stir. Microwave uncovered on HIGH for 3 1/2 minutes or until pasta is tender. DO NOT DRAIN. Stir in sauce mix. 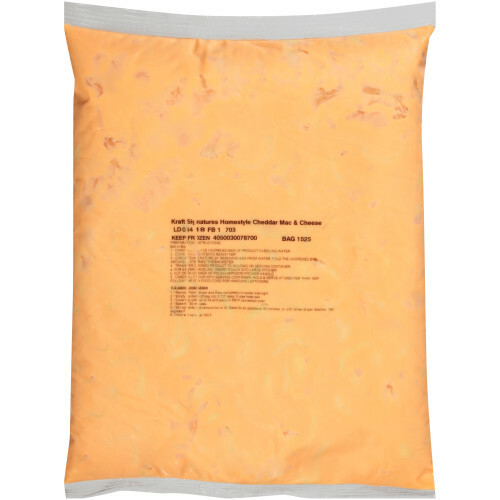 Ingredients: enriched macaroni product (wheat flour, glyceryl monostearate, niacin, ferrous sulfate [iron], thiamin mononitrate [vitamin b1], riboflavin [vitamin b2], folic acid); cheese sauce mix (whey, maltodextrin, milk, corn syrup solids, palm oil, modified food starch, milkfat, salt, milk protein concentrate, contains less than 2% of sodium tripolyphosphate, medium chain triglycerides, dried buttermilk, sodium phosphate, citric acid, cream, high acid whey, lactic acid, calcium phosphate, guar gum, cheese culture, yellow 5, yellow 6, autolyzed yeast, torula yeast, enzymes, dried yeast, natural flavor); modified food starch, maltodextrin, potassium chloride, acetylated monoglycerides, salt, medium chain triglycerides, apocarotenal (color).